We’re BAAAaaack! 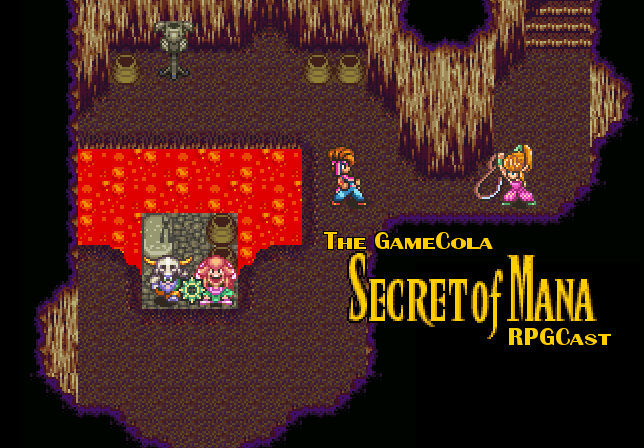 After an extended hiatus due to scheduling difficulties, the GameCola Secret of Mana RPGCast returns for its fifth episode! Discover that the Mana Seed is missing from the Water Palace! Encounter the Scorpion Army and battle their super-deluxe robot, Kilroy! How did they manage to pack all that into an hour-long podcast?! They didn’t—the podcast is like an hour and fifteen minutes long. If you’re enjoying the podcast, be sure to like and subscribe on iTunes, follow us on Facebook and Twitter, and check us out on YouTube! Oh, you already do all of that? Then tell your friends that you’re listening to #GCRPGCast—and don’t forget that #HarperHasASixpack.